Over the years, numerous controversies and heated arguments have rocked the hassidic world. 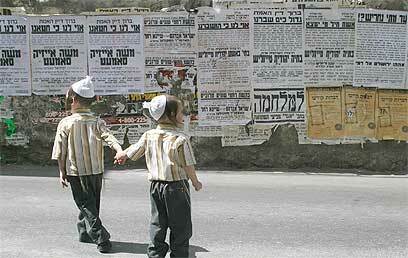 In time, the assorted haredi sects learned to get along with each other, more or less. Apparently, however, old resentments die hard, as evidenced by the latest scandal involving Breslav hassidism. The first shot was fired by Rabbi Yermiah Cohen, head of the Or HaYakar Yeshiva in Safed, with the publication of a pamphlet attacking Rabbi Nachman of Breslav, who passed away 196 years ago, at age 38. The reaction was immediate. 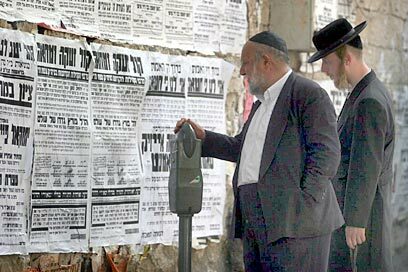 By last night, the walls of haredi neighborhoods were plastered with blistering condemnations of Rabbi Cohen, signed by the heads of the Breslav community in Safed, as well as other leading rabbis. “How can we stand still when God’s angels are insulted and His words are scorned and His prophets are defamed with words of vanity, lies and slander,” read one such notice. Even in the early days, Breslav chassidism was controversial and susceptible to attacks from major hassidic personalities. In his pamphlet, Rabbi Cohen repeats the old accusations. Rabbi Cohen even quotes from one excommunication attempt, attributed to the Savraner Rebbe, in which Breslav chassidim are referred to as “sinners and those who cause the masses to sin”. In the pamphlet, Rabbi Cohen scorns the newly religious who embrace Breslav and describes how “even before each newly religious individual opens his eyes, he discovers that his hands are full of multicolored booklets”. He criticizes the chassidic custom of traveling to Uman for Rosh Hashanah and claims that they “waste a lot of money… for naught”. With respect to the behavior of Rabbi Nachman’s followers, Rabbi Cohen remarks, “an outsider can see how ludicrous it all is”. The Or HaYakar rabbi explained to Ynet the reasoning behind the attack on Rabbi Nachman. The rabbi is well aware that Breslav is the most widespread chassidic sect in Safed. 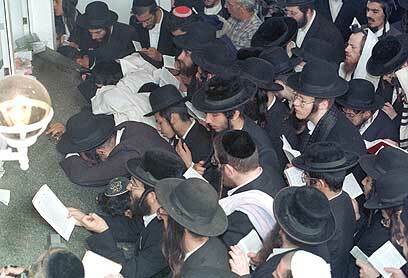 Breslav hassidim charge that Rabbi Cohen also attacked the Baal Shem Tov, the founder of hassidism. At the Or HaYakar Yeshiva, they concede that there may be some truth to the claims. See all talkbacks "Storm: They hurt Rabbi Nachman"